If you’re wondering how to manage your money, but aren’t sure where to start, you’re not alone. Money management isn’t something you learn in school, and you probably didn’t learn money management from your parents. Luckily, managing your money can be pretty straightforward. 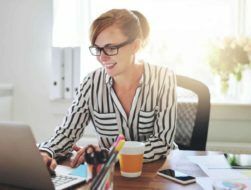 Below are 10 simple steps you can follow to learn how to manage your money smarter and achieve your financial goals. Follow these 10 easy money management tips to make a budget, set your financial goals, and start saving for the future. Before you can start managing your money well, you need to take stock of your current financial situation. Many people don’t know how much they’re spending or where their money is going each month. I’ve been there, and I can tell you there is hope. Start with your income. How much do you make each month from your salary, tips, commissions, stock dividends, rentals, or side hustles? Does your income vary month to month or is it stable? List all of your income sources and write down how much you made from each source for the last six to twelve months. Next, take a look at your expenses. What fixed costs do you have, like rent, car payments, and insurance? Write down how much you spend on variable expenses, like gas and groceries. Then, think about the surprise expenses each month, like home or car repairs. Finally, write yearly or twice-yearly costs like taxes. Once you’ve looked at the numbers, it’s time to tune up your mindset. If you feel like you never have enough money to do what you want to do, try to think positively instead. Think about all of the things you can do with your money. Practice gratitude for what you do have, even if you can’t afford everything you would like to. Think about how you view people who are doing well and who are wealthy. Do you think rich people are evil or are you happy for their success? Start to change your mindset to think that the more money you have, the more good you can do in the world. Once you open up your mind to thinking money is good, you’ll be more open to receiving it. The key is to uncover the harmful beliefs you learned about money growing up and replace them with more positive beliefs that better serve your goals. Before you can truly know how to manage your money well, you need to know your “why.” Why do you want to manage your money better? What would your ideal life look like? This is a question that only you can answer — no financial expert can do it for you. You might want to manage your money better so you can quit your high-stress job. Maybe you want to save enough money to pay for college for your kids. Or, perhaps you just want to take a year off and travel the world. I think about my “why” every single day. I have two kids, and I want to make sure I can pay for their pre-school, their clothes, their extra-curricular activities, and the occasional family vacation. Every time I don’t want to work, I think about them, and it helps me conjure up the discipline to do what I have to do. Think about your short, medium, and long-term goals for your money. Without this motivation, it will be hard to do the work required to keep up with solid money management. So get clear on your “why” first, write it down, and stick it on the fridge. This is one of the most important steps to managing your money better. Now that you know your money goals, it’s time to choose your focus. What are your financial priorities? Experts recommend paying off high-interest, unsecured debt like credit cards first. Then focus on lower-interest secured debt, like car loans. Second mortgages and home equity lines of credit might also be on your priority list to pay off. If you’ve paid off your higher-interest debt, you may want to focus on saving for retirement, a house down payment, or a major home renovation. Ultimately, it’s up to you to decide what to focus on first. Think about your goals and pick the areas you’d like to prioritize, whether that’s focusing on one thing or intentionally splitting your money into a few different areas. If you’re in a relationship, this is a great time to have a money meeting to talk about your joint financial goals. When you’re learning how to manage your money, it’s important to make a budget. Once you know how much you make and have a rough idea of your expenses and goals, you can establish a monthly budget. This is the key to managing your money well and consistently working toward your financial goals. The zero-based budget helps you account for every dollar you make. It’s a great way to control exactly where your money is going and make sure you’re working toward your goals. The 50/30/20 budget a simple budget for people who don’t want to spend a lot of time tracking their expense categories. In this budget, 50% of your income goes to needs, 30% to wants, and 20% to savings or debt payments. The envelope system is a low-tech but very effective way to track your expenses. At the beginning of each month, withdraw enough cash to cover your expenses for the month. Put the right amount of cash in each envelope. The great thing about this method is that you don’t really have to track your expenses. You’ll see quickly and intuitively how much you have left and whether that will last. Reverse budgeting (Pay yourself first) is for you if your main goal is to pay down debt or save money as fast as possible. With reverse budgeting, you pay yourself first. That is, you save a predetermined amount and then you have to live off the rest. This is a great method if you’re really focused on saving or paying down high-interest debt, but make sure you have enough left over to live on. Otherwise, the debt cycle could continue. The next step is to track your spending. There are many excellent apps to help with this, including You Need a Budget (YNAB), Mint, and Personal Capital. All of these budgeting apps will automatically connect to your credit card and banking accounts. They’ll import transactions and allow you to assign each to a specific category. I use YNAB every day for my own budget. It does come with a monthly fee, but it’s ad-free, which I like. As I mentioned, the envelope method can also work well if you don’t want to worry about tracking via an app or spreadsheet. With envelopes, you’ll know immediately how much you’ve spent and how much is left simply by counting the remaining cash. You can also print out paper envelopes, make your own, and write down your expenses directly on the envelope. Having an emergency fund might seem like the last step, but it’s actually something you’ll want to tackle first. Unexpected expenses always pop up. Rather than trying to rework your budget to accommodate a surprise bill, save a little bit each month in an emergency fund. This way, you’ll have the money you need when your car breaks down or you need a new hot water heater. A few months ago, my husband had to get a ton of dental work done. It drained my emergency fund, but I was so glad to have it because the expense didn’t affect my monthly budget whatsoever. A good place to start is to set aside at least $1,000 for a small emergency fund with the goal to grow it to 3-6 months of your expenses. When it comes to debt, some experts suggest paying off the smallest debt first, so you get a psychological boost from the quick win. There might be other considerations, like which ones have the most impact on your credit score or which have the highest interest rate. Regardless of the method you choose to address your debts, start tackling them bit by bit. It’s okay if you feel like you don’t know how to get out of debt. Don’t let yourself be deterred. Focus on paying extra toward one debt each month until it’s paid, then chip away at the next one. I’m helping my husband pay off six figures of medical school debt. Although it’s stressful at times, I feel good knowing we’re working toward our goal every single month. It can be hard to save, especially if you’re focused on paying down debt. However, your future self will thank you for it. The easiest way to save for the future is to start with your employer’s 401(k) matching program if they have one. Figure out how the matching works and try to contribute enough money each month to take advantage of your employer’s match. The great thing is that your 401(k) contribution typically disappears from your paycheck before it ever hits your bank account. After a while, you won’t even miss it. If you can, contribute your maximum allowable limit and get used to living on the rest. If you don’t have a company-supported 401(k), look into other options such as IRAs. These can be great tools for tax-deferred savings. Again, you’ll want to check the IRS rules for maximum contributions to these accounts. Remember that saving early gives your retirement account many years to compound, so your money can earn even more money for you. Your credit report impacts nearly every area of your financial life. Do not neglect this critical financial tool. 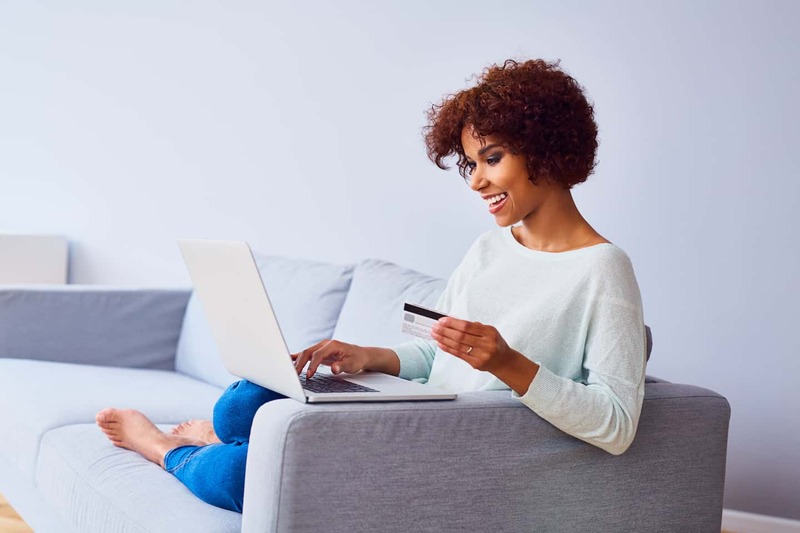 Checking your credit report is totally free, and by doing so you can make sure all your accounts are in good standing and no one has stolen your identity. Your credit report is important for many reasons. For example, if you want to take out a loan of any sort to buy a house or car, the lender will check your credit report. Based on your credit score and income, the lender will determine how much they want to lend you and, most importantly, what the interest rate will be. Having a squeaky clean credit report and a high credit score can save you thousands of dollars in interest over the years. If your record isn’t so clean, fixing your credit score would be a wise choice. It’s well worth it to identify any adverse accounts on your credit report and work hard to repair it before making any big purchases. Also, review your credit report carefully to see if it contains any errors. Many errors can be corrected by contacting either the lender that reported the issue or the credit bureau itself. Ultimately, managing your money doesn’t have to be a challenge. The ten money management tips above are a good place to start. Whether it takes months or years to complete the steps above, you’ll be well on your way to achieving your financial goals and creating the life you want as you tackle each one. Remember, money is a tool that, when used effectively, creates options for you. 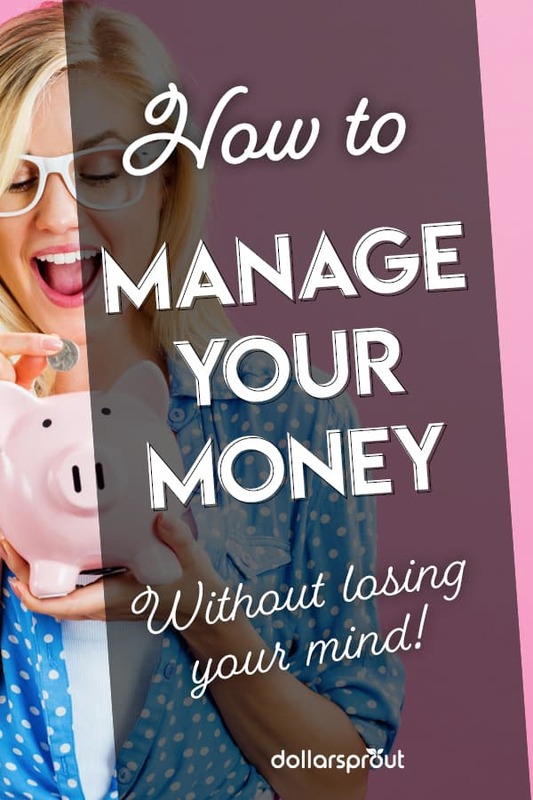 Managing your money wisely will give you the freedom to live well, and being in control of your finances and your monthly budget will also give you peace of mind. Great tips. I’ve automated all my regular payments so I don’t have to worry about missing payments. It really helps. Very practical and useful tips.I personal ly love planning my budget. Keeping day to day accounts is the best way to keep your budget in line. I’m the same way. Staying organized is key! There’s some great information here. Must check out Every Dollar. Thanks for posting! Great tips. I love grocery shopping with cash. Im so much careful that way! One comment I would have re these otherwise great suggestions. Our cell phone account was hacked last year (they changed our email address, took my upgrade date and bought over $1,000 worth of equipment, plus did other things, and to make a long story short, it took about four months to straighten everything out.) One of the things the security people at our cell phone provider recommended is that we go back to paper billing from the paperless billing we had been enjoying. (Another one was to put strict security on the account, which is a story for another day). We took their advice. We just started using Personal Capital and love it! We aren’t “budgeters” and we don’t track savings rate, but this gives a nice overview of all of our accounts. Wish it was around 20 years ago! Great advice as always, Hero! Thank you for these sensible financial solutions. While hubby and I are doing most of these, I definitely want to look into #3 (big fan of Dave Ramsay!) and #5 is an ongoing task!